StellarEngine Consulting is a Brooklyn-based marketing consultancy that combines strategy and practical expertise to help organizations navigate marketing challenges and bring their brands to life in social media. Founded by digital marketing maven Tammy Oler and staffed by a stellar network of consultants, StellarEngine Consulting provides scalable solutions to a wide range of organizations, spanning consumer goods to technology and the non-profit sector. We bring a dedication to hard work and a passion for building community to all of our projects. We may be digital, but we believe in old-fashioned human relationships. Let’s do awesome work together. For half a decade, StellarEngine’s creative team brought the Rainbow to life for millions of fans and followers on Facebook and Twitter, evolving the signature voice and personality of Skittles, and creating and publishing entertaining social content. In 2014, StellarEngine launched the Official Tumblr of the Rainbow. The outcome? Skittles became one of the most beloved brands in social media. 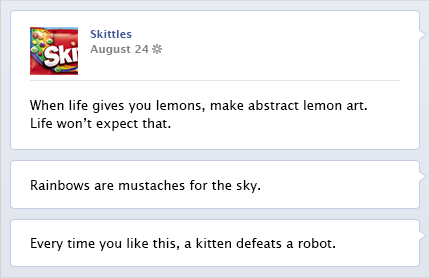 Skittles was a Shorty Awards finalist in 2014 and 2015. 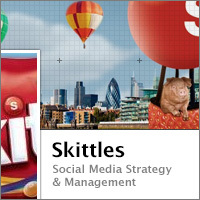 StellarEngine was also key to developing the Skittles global social media strategy, helping foreign markets translate the offbeat social voice for their customers, and implementing global community management practices that improved results worldwide. 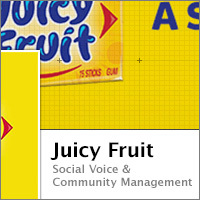 Launched in 1893, Juicy Fruit has always been a beloved brand of chewing gum, but the brand lost consumer relevance over the past decade. StellarEngine took on the challenge of re-introducing the brand to consumers via a distinctive and updated social voice that celebrates the fun side of life. The result? A strong and engaging social presence that has helped underpin the re-launch of the brand. StellarEngine worked closely with the Nokia North America communications team to plan and execute several social media influencer programs. 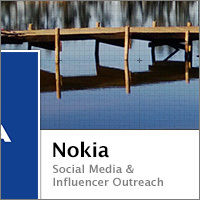 To support the launch of Ovi suite and Nokia’s Booklet 3G, StellarEngine collaborated with the Nokia team to educate influencers and increase its share of social voice, and expanded the reach of Nokia events to SXSW through word-of-mouth tactics like partnering with the Ice Cream Man. To support the roll-out of a new music offering, StellarEngine also designed a music blogger outreach program and cultivated key influencer relationships. 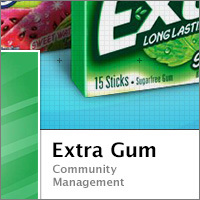 In 2012, StellarEngine was challenged by the Extra gum team to bring a new perspective to its social content. After focusing on flavor and weight management for several years, the brand was looking to infuse its content with a new spirit of joy. To meet this challenge, StellarEngine launched a Facebook campaign inviting consumers to engage with casual photographs highlighting joyful moments featuring Extra gum. The result was a refreshing – and refreshed – presence that re-positioned the brand and increased consumer interest and engagement on Facebook. Gideon Productions is an award-winning, NYC-based independent theater company. 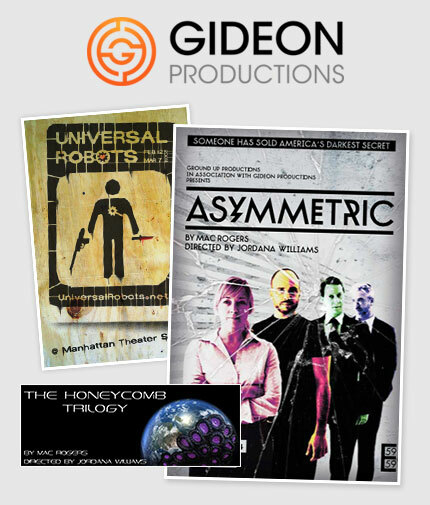 Despite a long history of outstanding reviews and an exceptional reputation in the indie theatre community, Gideon was struggling to increase awareness of its productions and drive ticket sales. 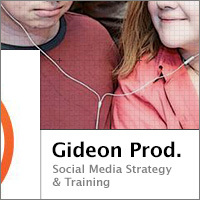 StellarEngine worked with the Gideon team to develop an always-on social marketing strategy and provided training to the Gideon team that enabled them to create highly effective marketing and sales campaigns that expanded their reach – and their audience. 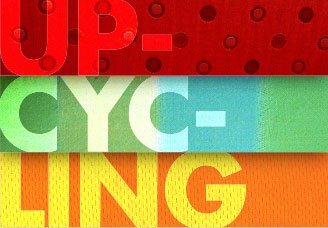 Rit dye has been the go-to brand of fabric dye for consumers for over a century, but the brand had invested very little in digital because it believed its consumer base was quite narrow. Market research showed there was a larger, more diverse market for Rit and the opportunity for sales online. StellarEngine helped re-launch the brand in digital channels, developing a content strategy to reach a wide range of consumers. 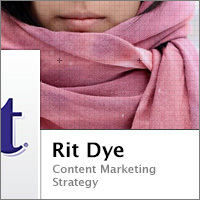 Content marketing resulted in increased traffic to a new e-commerce platform and an overall increase in sales. StellarEngine also helped launch an online upcycling contest that resulted in media and influencer mentions. We’ll collaborate with you to engage your customers on their terms and identify the right platforms and tactics that help power your business. We’ll work with you to develop and hone your voice, deploying it across platforms in consistent and authentic ways. Our consultants have managed online communities of all stripes and sizes, and we’ll help you develop a consistent and effective community management process and deployment plan. We’d love to hear about your ideas. © 2011-2019 StellarEngine Consulting, LLC All Rights Reserved.